In everyday life, knowledge is interconnected, not separated discretely into subjects. 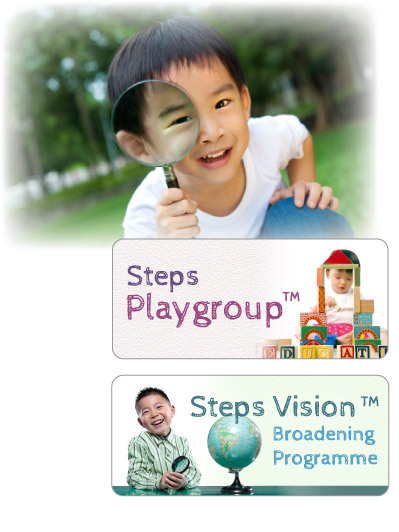 Our topic-based education programmes bring different subject matters including music, art, science, as well as social and personal development together under one topic so children can develop their multiple intelligence, learn to think in multi-perspectives and to solve problems systematically by drawing connections between different issues. We also trust that learning can only be maximized when the teaching substance suits the children’s level of development. We therefore place students in the right lessons to bring students up STEP BY STEP.